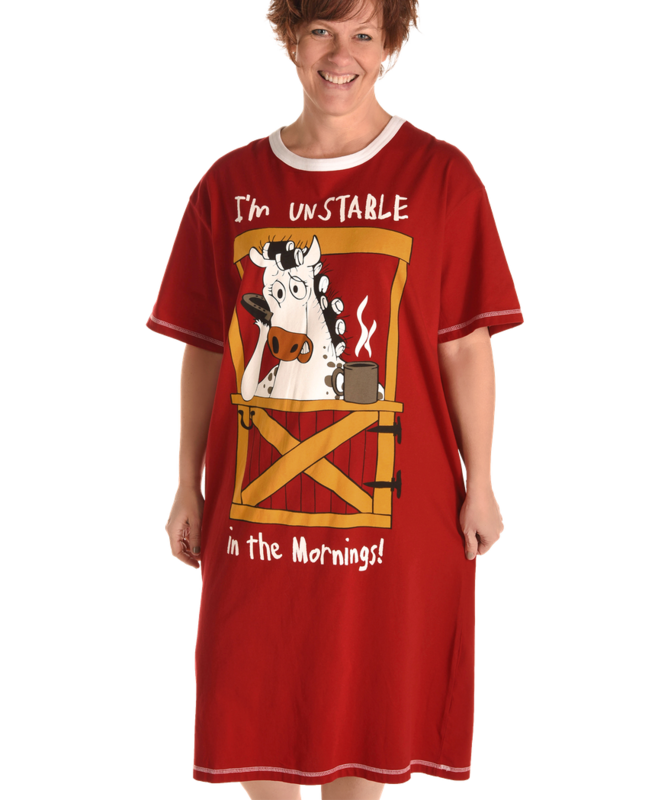 Our "Unstable In The Morning" nightshirts are functional AND fun! You'll love the comfort of the 100% combed cotton. One size fits all.